Waiting the birth of a child is always a great miracle. Elsa is also very waiting for this moment. And you should have seen how many things she bought for the baby! Let's help her to clean the room before the arrival of her friends. How to play: in this game you can help Elsa clean up her room. First, remove all the toys in the blue boxes. Then put all the clothes in the basket for dirty Laundry. Then tackle dirty floors using a vacuum cleaner. Use it to remove dark spots on the floor. Played: 28188. Added: 15-11-2015, 03:12. 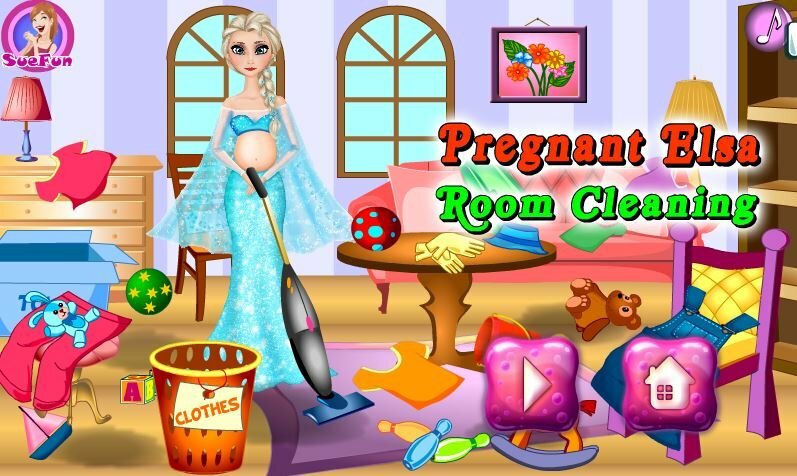 Pregnant Elsa Room cleaning game.